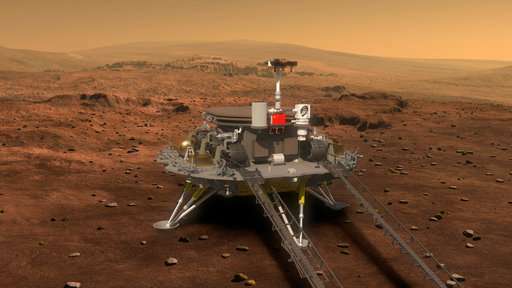 InSight—the eighth successful Martian lander—should be wrapping up two years of digging and quake monitoring by the time rovers arrive from the U.S., Europe and China. "The moon is where it's at right now relative to commercial space," said Thomas Zurbuchen, head of NASA's science mission office, which is leading the lunar payload project. Bridenstine envisions a trip to Mars for astronauts in the mid-2030s, admittedly a "very aggressive" goal. "The reality is, yes, your nation right now is extremely committed to getting to Mars," Bridenstine said following InSight's touchdown, "and using the moon as a tool to achieve that objective as fast as possible." Mars is the obvious place for "boots on the ground" after the moon, said Zurbuchen. 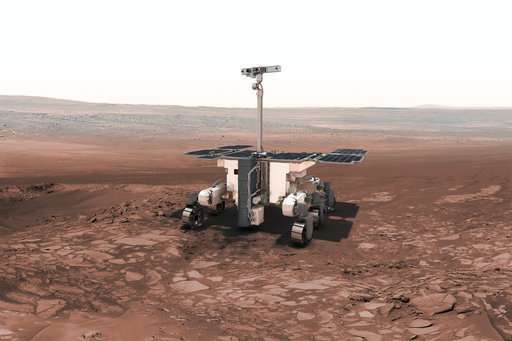 What makes Mars so compelling—for robotic and, eventually, human exploration—is its relatively easy access, said InSight's lead scientist, Bruce Banerdt of NASA's Jet Propulsion Laboratory. One-way travel time is six months, every two years when the planets are closest. Conditions are harsh, but relatively hospitable. "Kind of like being in Antarctica without the snow," said Banerdt. Jupiter's moon Europa may have harbored or even still hold life, but it would take so much longer and cost so much more to get there that Banerdt said it's hard to imagine achieving such a mission anytime soon. Mars currently has two functioning spacecraft on the surface—InSight and Curiosity—and six satellites in working order from the U.S., Europe and India. The U.S. is the only country to successfully land and operate a spacecraft on Mars. Curiosity has been roaming the red surface since 2012. NASA's much older Opportunity rover was working until June when a global dust storm disabled it. NASA's Mars 2020 launch window opens July 17 of that year. Touchdown would be Feb. 18, 2021. "You're all invited back," Watkins told Monday's jubilant landing-day crowd. I don't know Nik? Well, yeah I do not "know" Nik! Rather, I do not know, I am unsure? If our present drone technology is capable to safely move about the Valles Marineris. It appears to be a confused jumble of mushed together and split apart aresography. As there is such a diversity of landforms to be explored? I would suggest a dispersed landing by a fleet of cheap. disposible probes. Doesn't have to bre all at once. A dozen probes every year or two for a decade or two should suffice. Then, if something important is discovered? A more sophisticated (i.e. expensive) drone could be sent to a specific location for a more in-depth study. With the advantage of our having a better grasp of local conditions. More likely, a single, expensive, swiss-army knife probe will be sent. Not my choice but I generously suggest, the Valles would be a smart destination for a flying or skimming or balloon-drifting probe. Bottom of Valles Marinaris may contain ancient Martian air. The ..old...air before it left the place. Parts of it are many miles below Mars' ground level. Who knows, if caves there and they go down into the mars to great depth, such air may have been breathable once to Marslings. Oh no! Hollow Earth mumbo-jumbo was bad enough. But now we're going to have to listen to that bamboozlement about a Hollow Mars?!? Why rrwilliejoe - I would never have guessed that you are of "the Tribe". You do hide it well. But have you stopped going to the Yeshiva now? Or to Temple/Synagogue? Uhhhh - so you have been speaking with martians, rrwilliejoe? Does SpookyOtto know that? Please - do tell us all about your conversations with martians while I go fetch the butterfly net. The men in the white coats and the straightjacket should be along to see you soon. Don't run off, rrwilliejoe. Sit and have a nice spot of tea to calm you down. aye? Hopefully, these next times, NASA and/or the other agencies will finally remember to INCLUDE A MOTION-SENSING CAMERA to take movies in the event that mobile life forms may be strolling, crawling, etc. 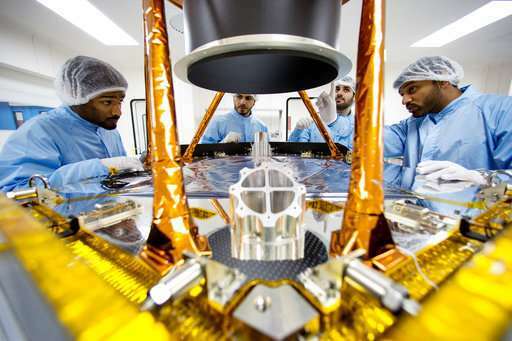 in front of such cameras - so that pictures of what appears to be a life form won't be mistaken for Paradolia (sp?) as in still images. 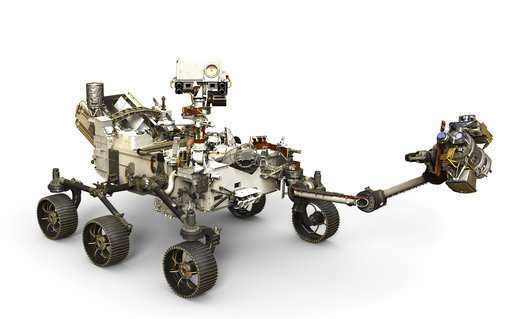 After all, if the agencies are going to search for the evidence of past Martian life, they would also need to search for current, present Martian life in case not everything had died. There should be a very good chance that Martian life forms are still there and may have evolved, just as life on Earth has evolved. Mars might be hellish while Earth is more of a paradise, but at least, good motion cameras on the rovers will give humans a hint as to what is in store for the first astronauts to set foot on Mars without major surprises. Well segue, this is the Internet. We can pretend to be any one, any thing, any preposterous we wish. Such as you pretending to be a Hominidae. When your postings clearly reveal you as of the species Verminous Trollus Unabridged. @rrwilliejoe - you are confusing me with such as jonesdave and others in this site - who admit to being related biologically and mentally to chimpanzees, monkeys , gorillas, bonobos, etc. along with all of their primate-type monkeyshines and with whom they all share DNA plus walking on two legs. I protest - since I have lost my place under a bridge to DaJerk aka DaShniebo the Troll who brings his full complement of verminologic science quackery to physorg for the purpose of acquiring the adulation and praise from such as yourself - you may consider me to be a higher level above primates. Only my human HOST is fully human, while I am of a superior form of life. Oh segue, the Sixties are so over! It is time you stop dropping acid. Or, are you a product of the gasoline huffing generation? It is rather obvious that you have failed to achieve superiority to anyone. & for that matter, you are obviously quite inferior to most. I will generously concede that you are equal to the trumpdiver cretins & quisling copperheads. Why repeat landers and rovers, why not set up a station there?